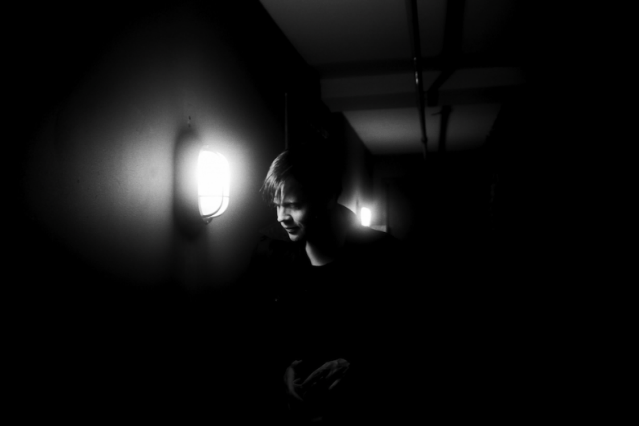 On April 23, Anders Trentemøller will release his new single, “My Dreams” digitally and on 7″ via In My Room (the vinyl will be available in the U.K., Germany, and other countries on April 21 for Record Store Day, as well). Featuring previous collaborator Marie Fisker on vocals, the latest from the Danish electronic producer is a soft, euphoric pop-ambient cover of the bluesy 1984 rocker by influential Hollywood punks the Gun Club. The video, directed and edited by Michael Schwanenflügel, brings together live footage and behind-the-scenes material (frosty beaches! people in animal costumes!). “You cannot take and steal from this body,” Fisker moans, via the Gun Club, and indeed, the giving and taking between audience and performers appears to be reciprocal.